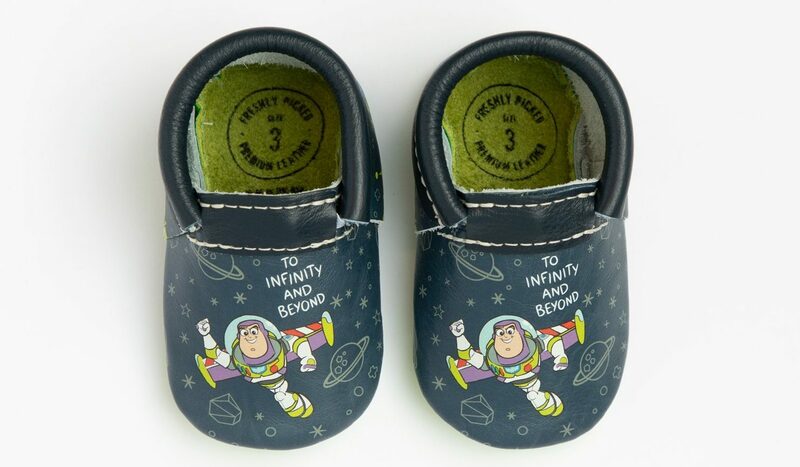 If you fancy these adorable Toy Story baby shoes, then get in quick! 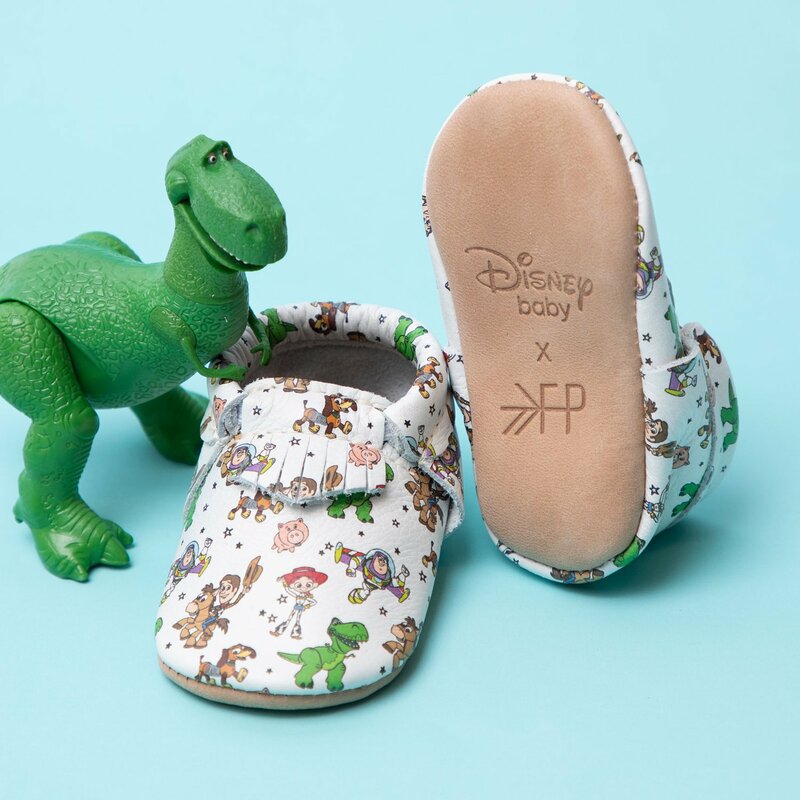 Freshly Picked has joined forces with Disney again, hatching these gorgeous baby shoes to celebrate the upcoming Toy Story 4 film. This collectable new Toy Story 4 range comes in four adorable styles and each pair retails a tick over $100 a pair. 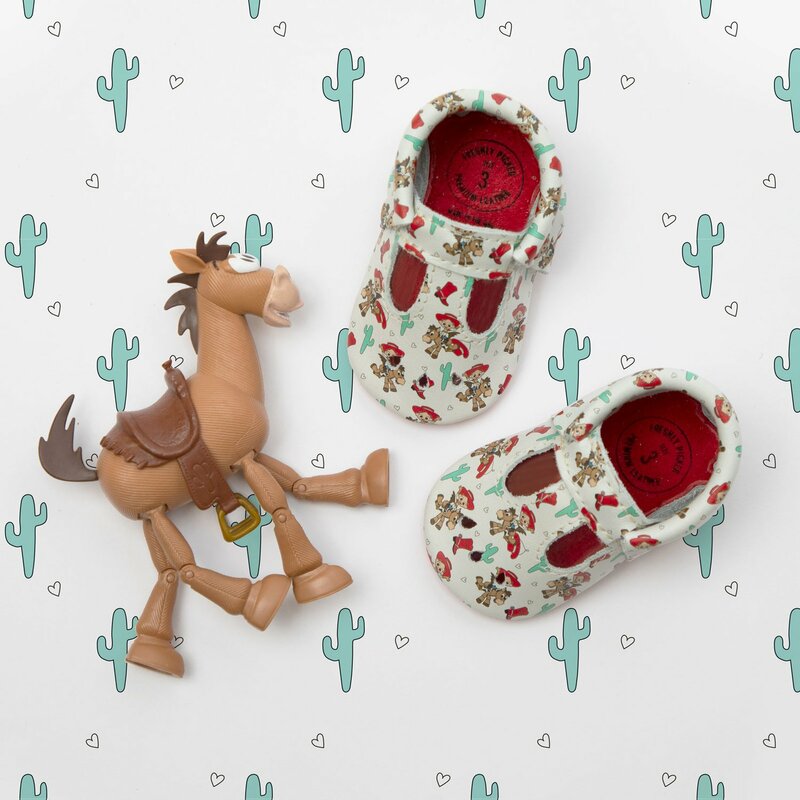 Perfect for babies and toddlers, these natural leather shoes are crafted with care and designed to be super comfy – as well as look super-cute! We should just say from the get-go that these can only be shipped to a US or Canadian postal address due to licensing restrictions. But don’t be discouraged by that. You can easily secure your own US postal address via Australia Post’s clever ShopMate service and have these sent on. So don’t complain to us, Toy Story fans! You truly can get a pair if you preorder speedily. These shoes feature Freshly Picked’s usual baby and toddler-friendly design. Both the moccasin style and the Mary Jane style have comfy elasticated openings which make them easy to take off – while keeping them firmly in place when your little one is wearing them. These new Freshly Picked X Disney Toy Story 4 styles include: the Jessie Mary Jane, the Buzz City Mocc, the Woody City Mocc and the Toy Story City Mocc. They are currently available for pre-order for little Woody and Buzz fans. To infinity and beyond!